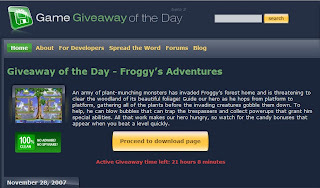 Giveaway Of The Day is a special site that offers a software for free everyday. I was downloading several software from it before, and they are still running well. Now, it runs another project which is Giveaway Game Everyday. I am not a game person, I do not know about any kind of game, but if you are a gamer maybe that is a good place to go.